The merchant agreement you signed with Visa makes you liable for any credit card data theft tracked to your restaurant. 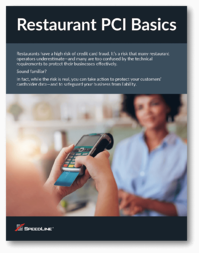 If a data breach is tracked to your restaurant, you could be on the hook for upwards of $50,000 in damages. Ongoing audit, notification, and legal costs could drive the total much higher. Failing to take PCI compliance seriously is like operating your business without insurance. Educate yourself, and protect your business.